Digital marketing is an ever-evolving arena. The forthcoming of tomorrow cannot be steered by the success stories of past. However, marketers can learn to adapt to scenarios by assimilating the mastery of flexible strategies. The digital landscape comes with handsome features that let you remain relevant and waiver off elements that add drag to your expertise. In digital marketing realm, today’s game plan fails to live up to tomorrow’s expectations. Often, the vantage point is lost grappling with outdated strategies. Marketers must express willingness to approach fresh challenges head on. It is the only way to determine what works best. 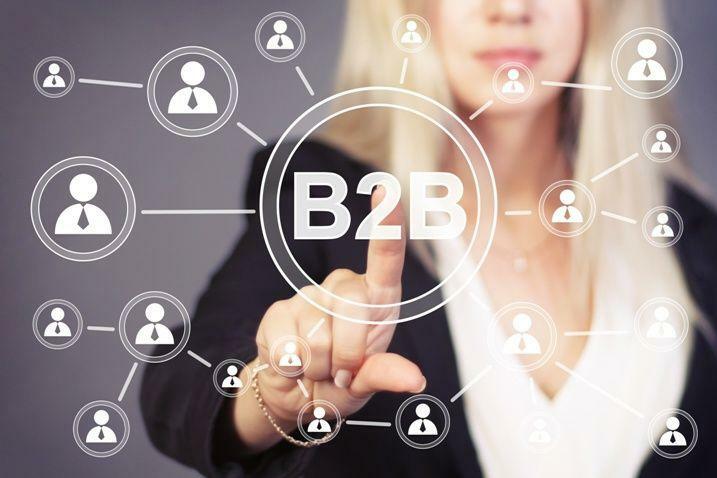 Several independent pieces of research have shed light on how B2B businesses spearhead using digital technology. The reports from several studies highlight the right ways to use marketing budget. Here is a gist of various tactics utilized by major US B2Bs to coordinate marketing budget. The list is broken down based on relevance, effectiveness and ROI. Content is a real digital marketing asset. B2Bs prioritize digital content for drastically improving brand visibility. Many premium B2Bs believe that the potential to unlock audiences are taut and controlled by the content market. It is estimated that content marketing will continue to contribute significantly for the next two years in a row. As the process sways towards developing quality content which then serves as a marketing touch point trigger for generating leads, the CRM and other marketing automation tools will streamline the process of tracking the content and the interaction that translates to revenue generation. The execution of content marketing package requires planned strategy and knowledge about trending matters. Giving site visitors an educational resource such as blogs, whitepaper, and webinar signups to benefit from the wealth of knowledge will add mileage to campaign strategy. It is a method of retaining authority and credibility. However, the greatest content marketing challenge is the creation of relevant and rich content that echoes the company’s aspirations. Most efforts fail lacking clarity in the translation of ideas and tactful assessment of strategy to dilate sales. The modern B2B marketers believe that a successful strategy incorporates efficient utilization of SEO. Its significance is only next to content marketing. Year after year, the SEO strategies evolve to make premium contents easily accessible. It has led to the marketers updating their content strategies to achieve better search engine rankings. Over the years, SEO strategy has resulted in raising the stakes for content marketing. In the present, failure to generate quality content can take away the merits of yesterday. Meta code plays an important role as it did in the earlier times. The other component of digital marketing strategy is the online influence. In the millennium, the SEO critical components were cheaply sourced from offshore markets in bulk. But, the practice isn’t prevalent as it no longer yields the same results it did in the past. Marketing automation consolidates multi-channel marketing tactics to work in a synchronized fashion. Such tools will equip SMBs with profitable ROI. A premium marketing automation tool will ramify yearly expenses to over $10,000. Marketing automation will give companies the upper hand by generating a higher ROI and inclining the process in an efficient manner to enhance the digital marketing efforts. Marketing automation helps funnelling every digital investment to the leads generation process. The system also communicates with prospects and alerts the sales staff when qualified prospects express an inclination to close the deal. Automation tools were once exclusive to the major corporations. However, many recent versions are affordable and competitively priced, drawing a slew of buyers from SMB fraternity. In the trending era, organizations are doing away with Predictive Analysis, Click to call, and Programmatic activities, as they are disorganized and least helpful in churning values. It seems that the existing technology is not nearly equipped to fully utilize their potential. Affordability is another factor making clients look elsewhere for solutions. However, there is an overall escalation of interest towards the Programmatic Advertising within the established businesses. Email has always been a frontrunner among all digital marketing tactics. It has no parallels even among the elements listed above. The pitfall to digital marketing strategy is constrained budget. A limited budget is a hurdle for every marketer to establish sustainable ROI. Marketing automation is a viable solution for clearing budgetary clutter in the digital marketing efforts. The future of digital marketing will be maneuvered by factual contents such as videos, infographics and much more sophisticated media strategically planted below the textual contents. Companies that still rely on outdated marketing tactics will go cold. If your efforts are to be distinguished, marketing automation is a rational way to gain traction. While automation and CRM consolidate activities from prospecting to close, content driven industry is heading towards a fresh makeover with an interactive and educative approach.